It is common knowledge that William Shakespeare was born in Stratford upon Avon in Warwickshire. You can visit his birthplace there on Henley Street. I think many people also know that his father was John Shakespeare, who worked as a glover, and his mother was Mary Arden. When Shakespeare was a boy, he would have attended the local grammar school and at the age of nineteen he was married to Anne Hathaway. But from his youth in Stratford until he became well known as a playwright in London, there is a gap that is often referred to as the ‘lost years’ when no one knows for certain where he was and what he was doing. He may have lived and worked in Stratford until he left for London, but there is a tantalising claim from Ben Jonson that Shakespeare ‘understood Latin pretty well, for he had, in his younger years, been a schoolmaster in the country’. The story that he had once been a schoolmaster came from John Aubrey who heard it from William Beeston, who was the son of Christopher Beeston, an actor who was a contemporary of Shakespeare’s. It isn’t exactly proof, but it may have some credibility. Sadly, there is no trace of Shakespeare as a schoolmaster but in some places, particularly in Lancashire it was well known that many families employed unlicensed schoolmasters to teach their children, the reason being that those families were secret Catholics and wanted their children to be instructed by Catholic teachers. 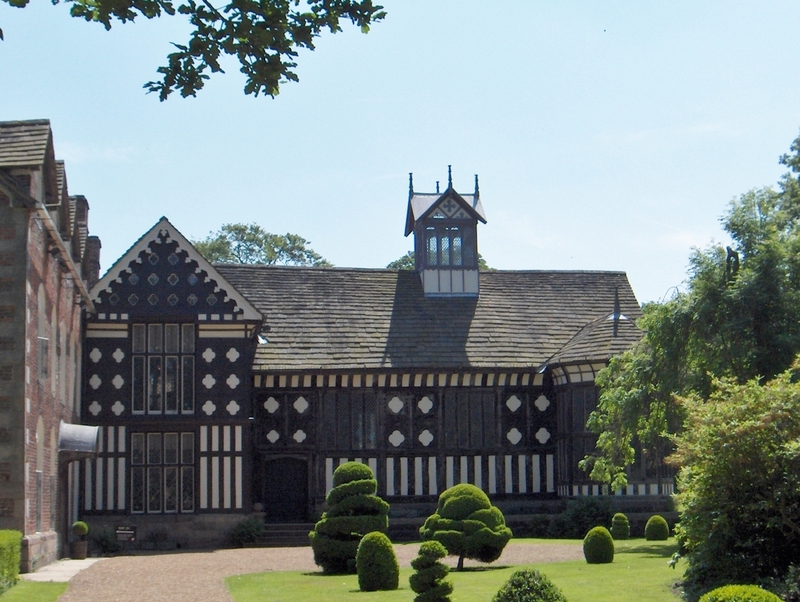 Living in Lancashire, I’ve long been aware of the claims of two historic houses in the area to have a connection with William Shakespeare. 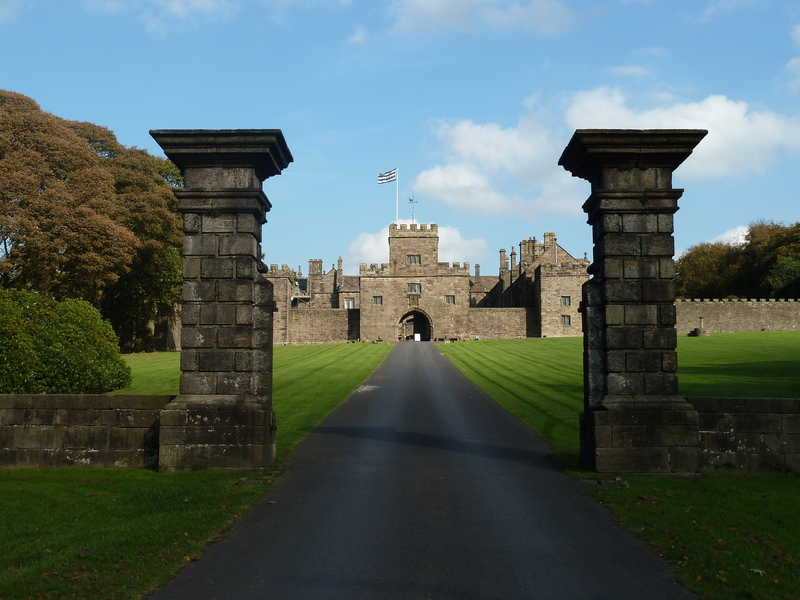 The first is Hoghton Tower, a striking house that lies between Preston and Blackburn, which has been the home of the Hoghton family since the Norman Conquest. 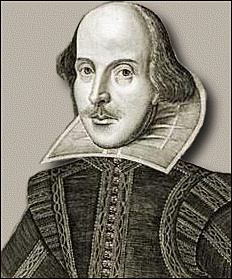 Their Shakespeare connection is based on an item in the will of Alexander Hoghton, written in 1581 that refers to a ‘William Shakeshaft’. The will asks that Sir Thomas Hesketh takes William Shakeshaft and Fulke Gillom ‘into his service or help them to some good master’. This follows the bequest of some musical instruments and play clothes and could indicate that Shakeshaft and Gillom were players, but their trade is not specified.. 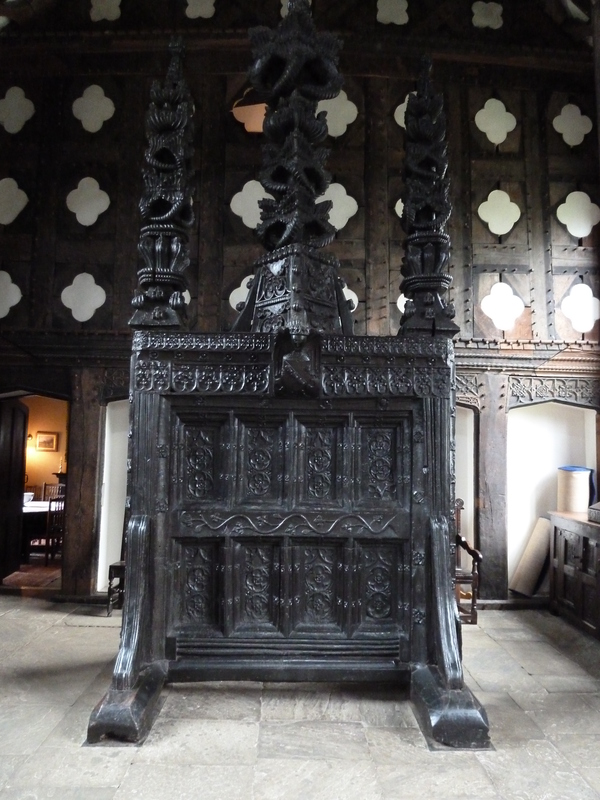 Whether ‘Shakeshaft’ and ‘Shakespeare’ could be the same person is debatable, but there is another, perhaps more compelling link between William Shakespeare, Hoghton Tower and the Heskeths of Rufford Old Hall. In 1580, the Jesuit priest, Edmund Campion, visited Lapworth Park in Warwickshire, home of the Catesbys. He was looking for young men from the area to join his mission as subseminarians. It is fairly certain that the Shakespeares were secret Catholics as a copy of the Borromeo Testament, an affirmation of the Catholic faith, signed by John Shakespeare was found hidden in the roof of the house on Henley Street in 1757. Also, William Shakespeare’s teacher at the Stratford grammar school was John Cottam. He came from Lancashire and his brother Thomas was a priest. I’m sure that the clever and talented William was just the sort of boy that Campion was seeking to join his mission, and if William had gone with Campion they would have ridden north to Hoghton Tower where Campion is known to have stayed in 1581. After the arrest of Edmund Campion and the death, shortly afterwards, of Alexander Hoghton, it is possible that Shakespeare moved on to Rufford Old Hall, the home of the Catholic Hesketh family. The Heskeths certainly had a troupe of players and William may have performed in their great hall maybe using the huge carved screen that still stands there as a prop. The other Lancashire link is that Rufford is not far from Lathom, the home of Lord Strange. Lord Strange, Ferdinando Stanley, is recorded as visiting Rufford to watch a performance and as Shakespeare has connections with Lord Strange’s Men it may be that he joined them from Rufford, perhaps with the recommendation of Sir Thomas Hesketh. It may all seem like too much speculation but it’s interesting that Shakespeare’s financial backer at the Globe was a man named Thomas Savage, who came from Rufford and whose wife was a Hesketh. Of cours e, no one will ever know the full story, which is why I wrote my own version of events that are possible, but ultimately fictional. 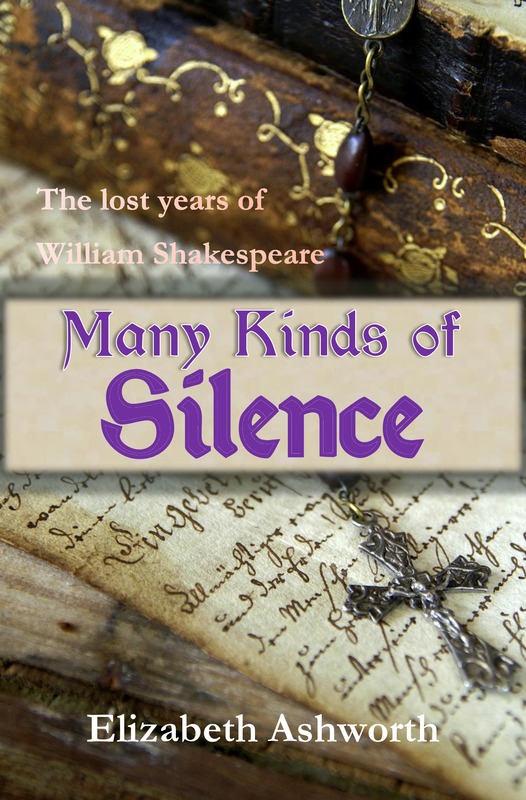 My new novel Many Kinds of Silence follows the ‘lost years’ of William Shakespeare from Stratford to London with a short sojourn in rural Lancashire. Thank you, Martin. I hope you enjoy it. This makes for a very interesting read. I have both heard and read about Shakespeare being a school master. In the late c17th school teachers either belonged to a clerical order or had to be licensed by a bishop in order to teach. The fact that no record of Shakespeare being a school master/teacher has yet to be found does suggest, that if he ever was a school master, that he would have been an unlicensed one. Do you know if there has been any analysis of Shakespeare’s sonnets, poems or plays that might suggest they are describing specific locations/items in the geographic locations you mention? I don’t think such a study has been done, but I would guess that descriptions are so general that they could relate to many places.